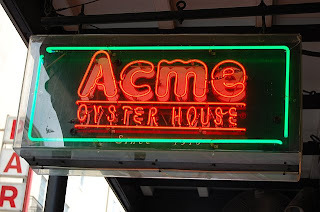 Acme Oyster House (724 Iberville Street, just off Bourbon Street) - Classic for Oysters and Po Boys. There will be a line that forms outside, but it moves sort of quickly, and you can drink while you wait. 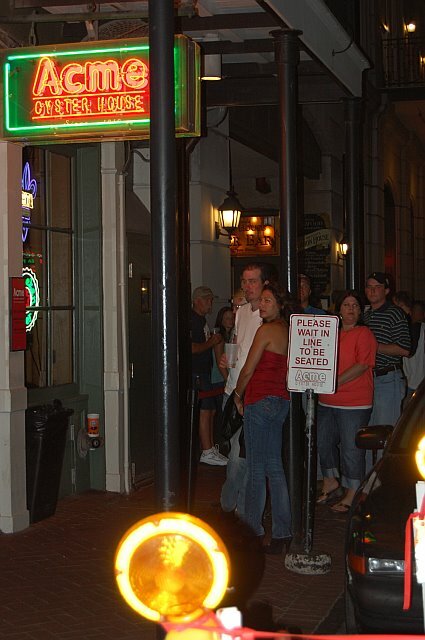 NOLA is very "drink on the streets" friendly, so grab a cold one before getting in line. 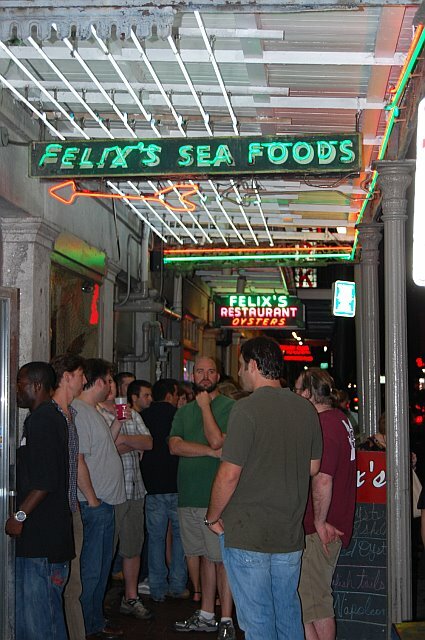 If Acme is just too packed, there is Felix's across the street, which I hear has a mean Po Boys as well. 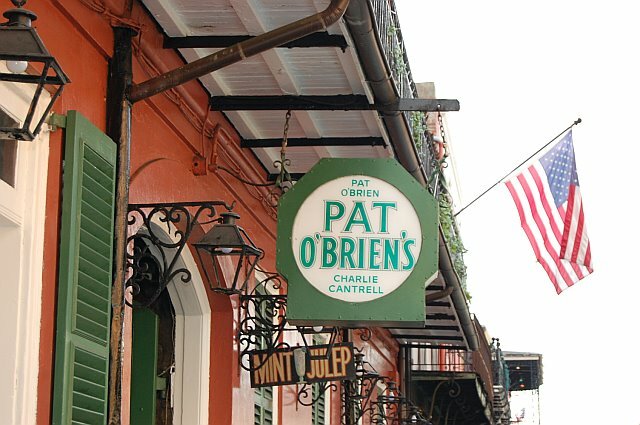 Pat O'Briens (718 St Peter Street, just off the further end of Bourbon Street) - You have to go here for a Hurricane. Sure, it's a little sweet, and the alcohol content is pretty high, but it's a NOLA original and you'll be able to handle just one. 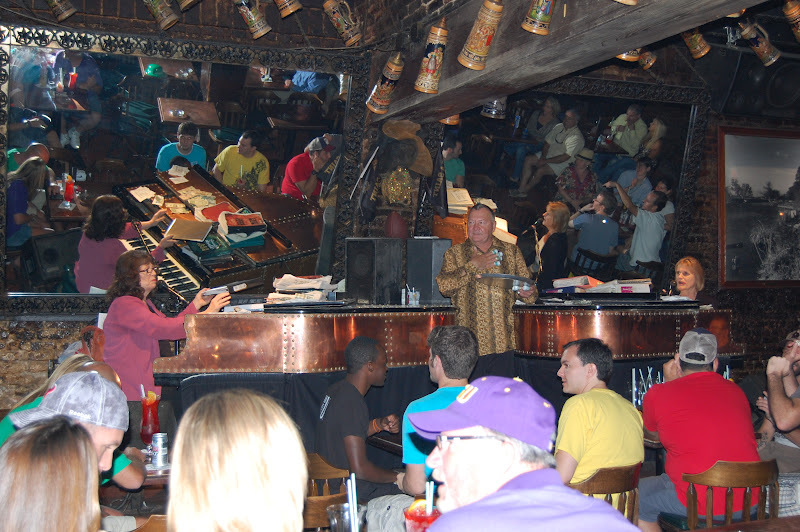 They also have a nice outdoor patio, and dueling pianos inside. Mr. B's Bistro (201 Royal Street, 1 block over from Bourbon Street) - Mr. B's is one of the Brennan family restaurants. The Brennans are a widely known family in NOLA for their many restaurants, and they do not disappoint. If you are looking for a nice sit down dinner, dress code casual, then you've found the right place. The restaurant carries the classic Creole-style dishes, including various kinds of Gumbos. The real delight is Mr. B's BBQ shrimp, but mind you they will bring you a much needed bib. The shrimp and grits are also to die for. 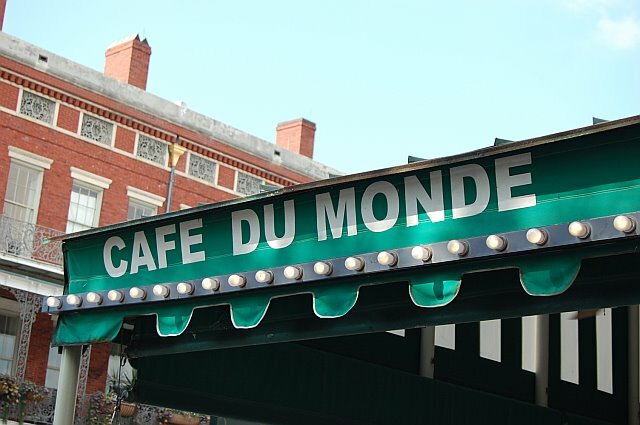 Cafe Du Monde (800 Decatur Street, next to Jackson Square and the Mississippi River) - In 1862 Cafe Du Monde opened as a traditional French market coffee stand; however, the cafe has gained popularity mostly for its Beignets, a French doughnut-type treat covered in powdered sugar. It can be pretty packed, so you might have to wait for a table to turn over, but it's nice outdoor seating along the river and is open 24-hours a day, seven days a week, with the exception of Christmas Day. Cut them some slack; they deserve at least one day off! 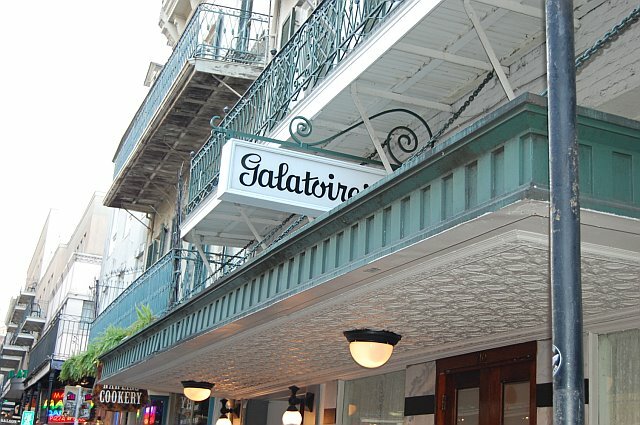 Galatoire's (209 Bourbon Street) - Then there is Galatoire's. 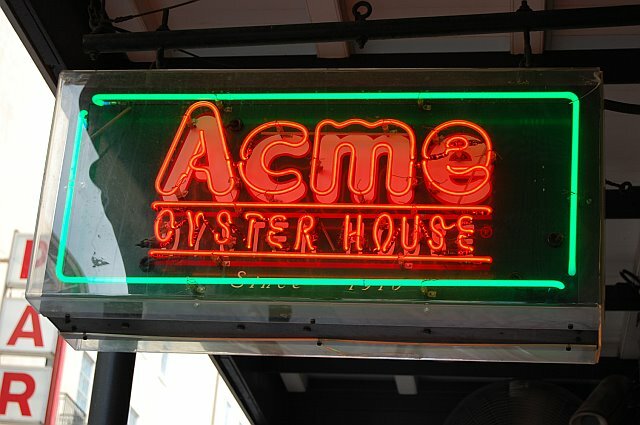 There is a reason this place has been around for over 100 years. You won't find the inebriated here (well, at least not until late night), but you will find plenty of locals. 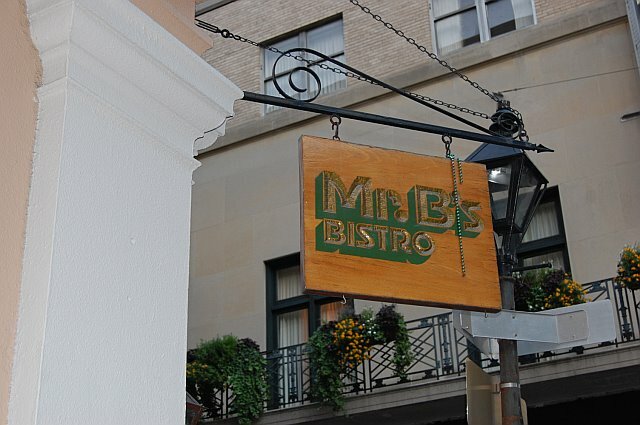 It's a coat and tie kind of place, but if you are looking for a NOLA fine dining experience, look no further. Joy all around. 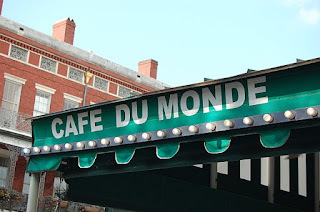 CHECK OUT SIMILAR POSTS: Eats in New Orleans, Travel the U.S.